Shitaya and Iriya are neighbourhoods just north-east of Ueno Park on the other side of the railroad tracks. Taito Ward is the ward in which the bulk of Old Tokyo remainders can be found. 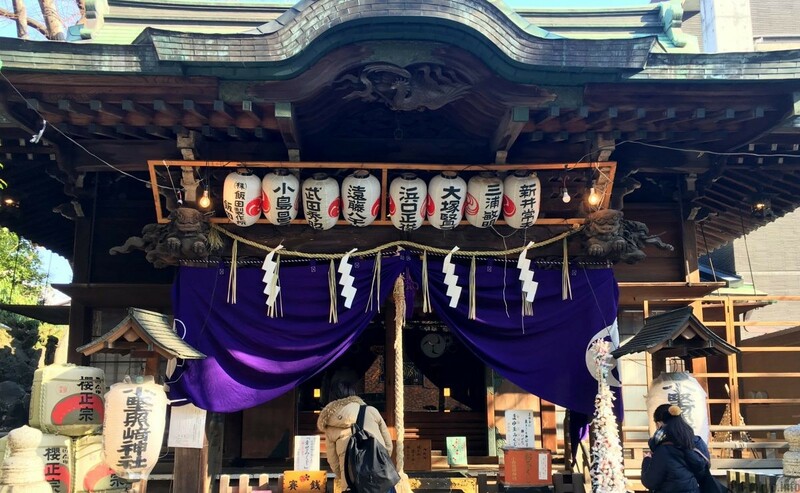 However, it is not only Ueno and Asakusa where some gems can be discovered, the number of small temples and shrines in Iriya/Shitaya is impressive, and it retains the shitamachi feel that is common in several old Tokyo communities. When strolling through the streets, you will see many old houses (see photo at the top of this article) in between the relics of worship. In particular check the streets around Hoshoji and Tekona Senbei (respectively number 6 and number 2 on the map at the bottom of this article). 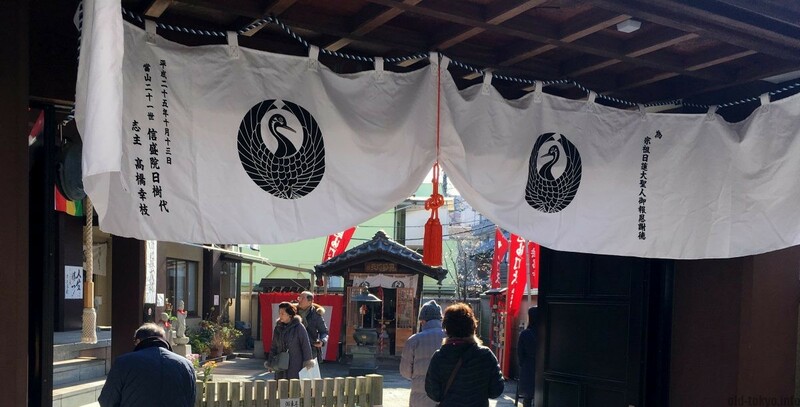 The good thing about Shitaya and Iriya are that there are actually no major tourist attractions and it is therefore likely one of the most authentic shitamachi areas in Tokyo. I visited this place at the start of the year, when many Japanese people were doing a 7 lucky gods pelgrimage and I could not spot many tourists. Iriya/Shitaya is just a couple of minutes away from Uguisudani Station on the Yamanote line, which gives easy access to the rest of Tokyo. There are many small hotels in the area and even a cheap dormitory in a traditional house. One major event in this area of Tokyo is related to the Iriya Kishimojin (Shingen-ji Temple). Every year in July, the Morning-Glory Festival (Iriya Asagao Matsuri) is held at the temple grounds around Tanabata on 7 July. This festival at Iriya Kishimojin began in the Meiji period after a gardener planted morning glory flowers in various parts of Iriya. It grew to become a festival in which around 120.000 plants are on display, attracting 400.000 visitors over three days. It was organised for the 68th time in 2017. 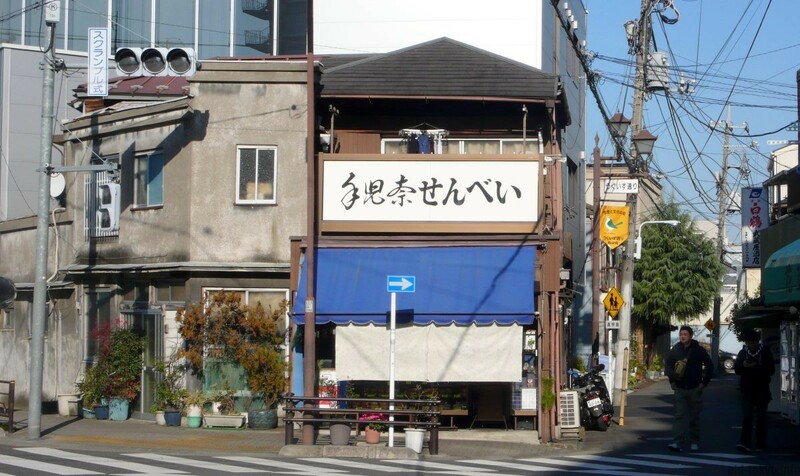 You might see the name “Shitaya” pop up in the wider neighbourhood as well (such as Shitaya Shrine), as Shitaya used to be the name of a whole ward before the administrative reform of 1936. The same is true for Iriya, which spanned a larger area than is now apparent from the postal address system. 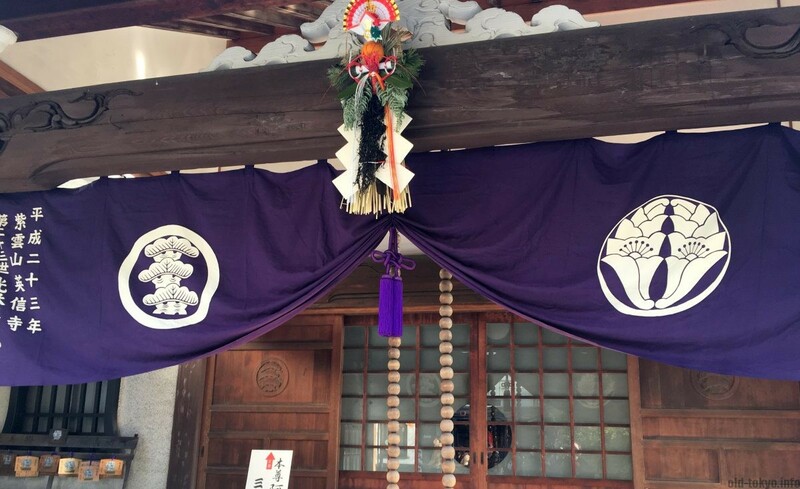 Famous for the Iriya Morning-Glory Festival (Iriya Asagao Matsuri) held on and around its grounds 6-8 July, which is the best time to visit this temple (also known as Shingen-ji Temple). Rather than an overly interesting temple building, the story behind this place is more interesting with an evil goddess snatching and eating children. Read more. Tekona Senbei sits on one of the corners of a five-road intersection. It is around for over 50 years and is actually not much more than an open window where you can buy some fresh “young turtles” senbei. Read more. Revered for success in academics and performing arts, but even more famous for its miniature Mount Fuji, called the Fujizuka of Shitaya-Sakamoto. It was built in 1828, about 5 meters tall and 16 meters in diameter. Read more. This cafe, opened in 2008, is located in a 50 year old Japanese house right in the heart of Iriya. 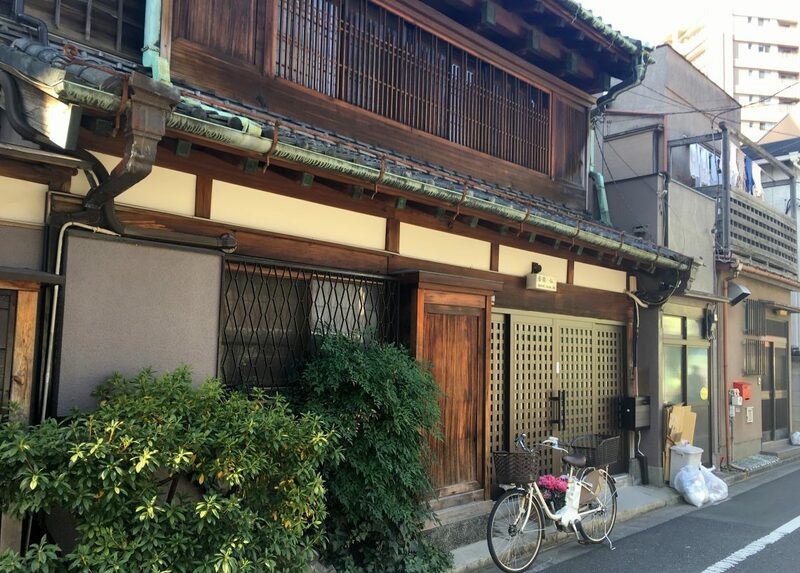 What makes this place attractive for Japanese is the traditional living space using a lot of wood, nooks and small glass windows. 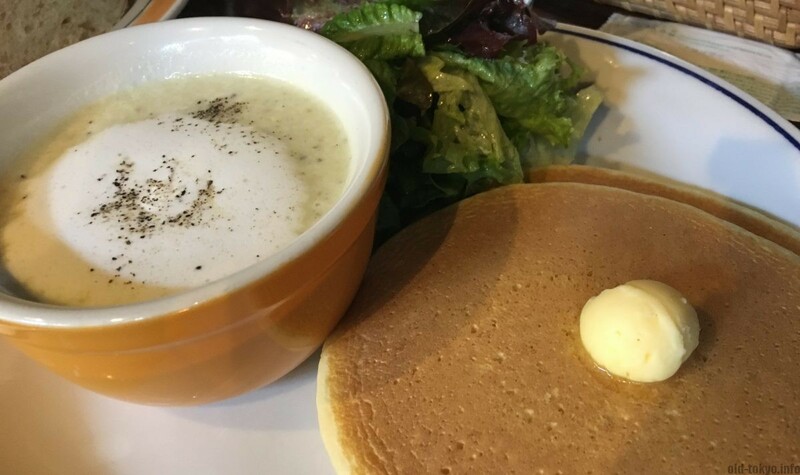 It specializes in pancakes, pancakes as dessert for your afternoon tea, or as replacement for bread during lunch. Read more. This temple has a large string of prayer beads (called juzu) in front of its main shrine building that crackles as fireworks when you pull them to pray. 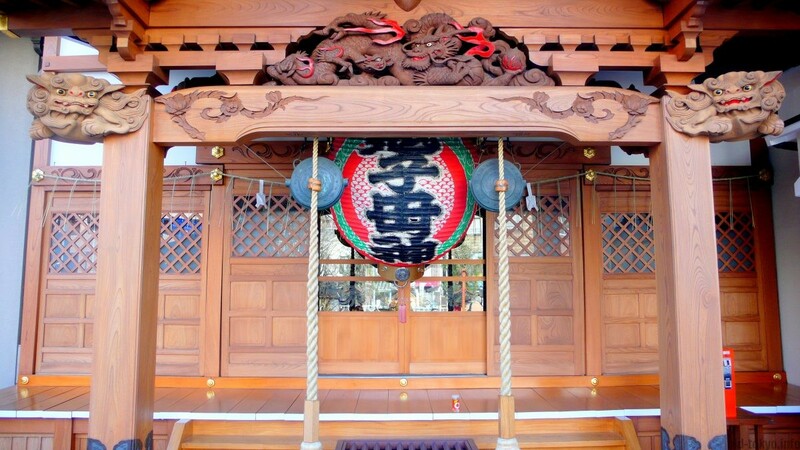 It also enshrines Daikokuten, one of the seven lucky gods. Interesting is that if you look at the statue of Daikokuten, it resembles Benzaiten on the right side, Bishamonten on the left side, so you get 3 lucky gods at the same time. The birds they keep at this place are also nice. Hoshoji temple sports a huge colorful buddha poster and was very popular as one of the stops on the local 7 lucky gods pilgrimage as it has a small shrine on its grounds dedicated to Bishamonten. Also check my visit to the Morning-Glory Festival (Iriya Asagao Matsuri).